Liverpool will invite Bayern Munich to Anfield on Tuesday in what might promise to be an exciting encounter. 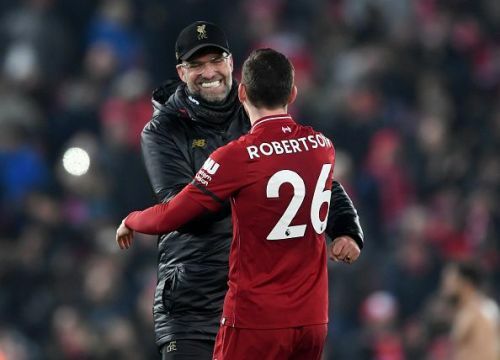 Following a win against Bournemouth in the Premier League, the Reds will now shift their concentration to Champions League to carry on their winning form against Niko Kovac's Bavarians who have looked assured with results in recent weeks. The hosts will have to be sure about their defence performance as they would head into Allianz Arena for the second leg which might prove to be tricky. On the other hand, the German outfit will be looking to pinch an away goal or two to take advantage in this two-legged fixture. Both Jurgen Klopp and Niko Kovac know there are no real favorites going into this game as both the sides have quality all around the pitch. This is the most exciting tie for the round and the neutral fans will be expecting lots of goals. Liverpool were sweating on Dejan Lovren's recovery, but he does not look to get a nod above Fabinho who looks to start as a centre-back. Joe Gomez is a long term absentee along with Alex Oxlade-Chamberlain. Roberto Firmino did not train yesterday due to a virus, but he is expected to be fit on Tuesday. Corentin Tolisso and Arjen Robben have been withdrawn from the traveling squad due to injuries. Kingsley Coman and Renato Sanches have recovered from their ankle problems in time to face Liverpool. The Bavarians were given a huge scare when Leon Goretzka did not train at Anfield on Monday, but Bayern have not released about a statement about it. Virgil Van Dijk is the only absentee through suspension in this fixture. Jurgen Klopp makes his whole team tick around as a unit and makes things happen. However, their midfielder Fabinho holds the key. He is expected to start as a centre-back and partner Joel Matip who has not looked great with his defending. Gini Wijnaldum is another player pivotal in unsettling opponents midfield. Kingsley Coman, Leon Goretzka, and Robert Lewandowski have been in fine fettle over the last few months and they will be expected to put in a good shift against a depleted Liverpool defence. 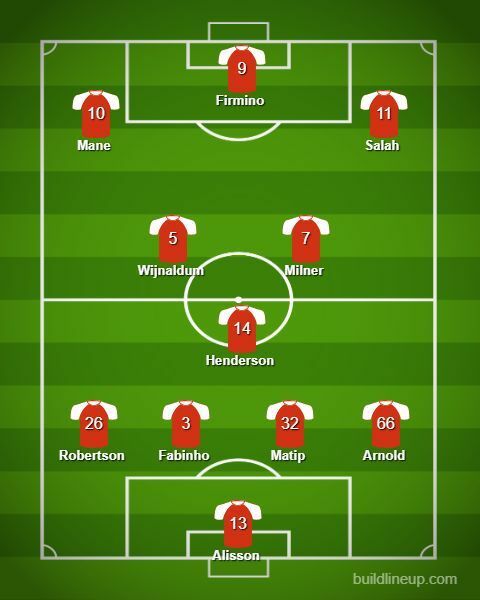 Liverpool: Alisson Becker, Trent Alexander-Arnold, Joel Matip, Fabinho, Andy Robertson, Georginio Wijnaldum, Jordan Henderson, James Milner, Mohamed Salah, Sadio Mane, Roberto Firmino. Bayern Munich: Manuel Neuer, Joshua Kimmich, Nicolas Sule, Mats Hummels, David Alaba, Javi Martinez, Thiago Alcantara, Leon Goretzka, Kingsley Coman, Serge Gnabry, Robert Lewandowski.